Their Mission: Helping hungry men, women and children thrive by providing food and essentials through their programs and partner agencies. We are excited to announce that our agency has selected Food Bank of the Rockies as our third quarter (July, August and September) Charity of the Quarter again in 2018! During these months RSS will donate $10.00 for every referral we receive to Food Bank of the Rockies (FBR). We created our continuing referral program in order to support the charitable work of numerous non-profit organizations. We are very excited to raise support for FBR. One in 10 Coloradans worry where their next meal will come from. These are people you meet every day- those with low wage jobs, children, seniors on fixed incomes, those with health issues. Surprisingly, the homeless represent only 10% of FBR’s food recipients. Nearly half of the food they distribute feeds children. FBR is the largest private hunger-relief organization in the state of Colorado. Founded in 1978, FBR was known as the Colorado Food Clearing House. 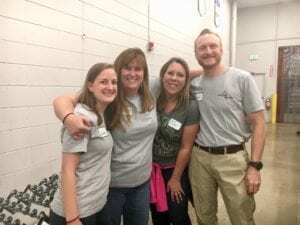 Operating from a 900-square-foot schoolroom in Northwest Denver, the fledgling organization collected bread from a nearby Safeway store, their first food donor, and distributed it to Little Sisters of the Poor, their first partner agency. Today, FBR has extended its reach across Northern Colorado, providing food and supplies to more than 500 hunger-relief programs. Since 1978, FBR has provided more than 615 million meals for people in need. Last year, through their direct service programs and partner agencies, they distributed nearly 60 million pounds of food, enough to provide more than 134,000 meals each day to children, seniors and families in need. Food Bank of the Rockies also runs an efficient organization, using less than 4 cents of every dollar for administration. 96 cents of every dollar contributed goes towards food distribution. And every dollar they receive provides four meals for our hungry Coloradans. RSS will not only be donating $10 for every referral we receive, but will also be partnering with Food Bank of the Rockies numerous other ways over the coming months. We will be hosting a virtual food drive for FBR during July, August and September. Click HERE to donate. (Did you know only 3% of the food FBR distributes comes from food drives? With their purchasing power and network of wholesale, retail, farm and ranch donors, they able to do much more with a monetary donation.) The RSS team will also be volunteering locally with Food Bank of the Rockies very soon. 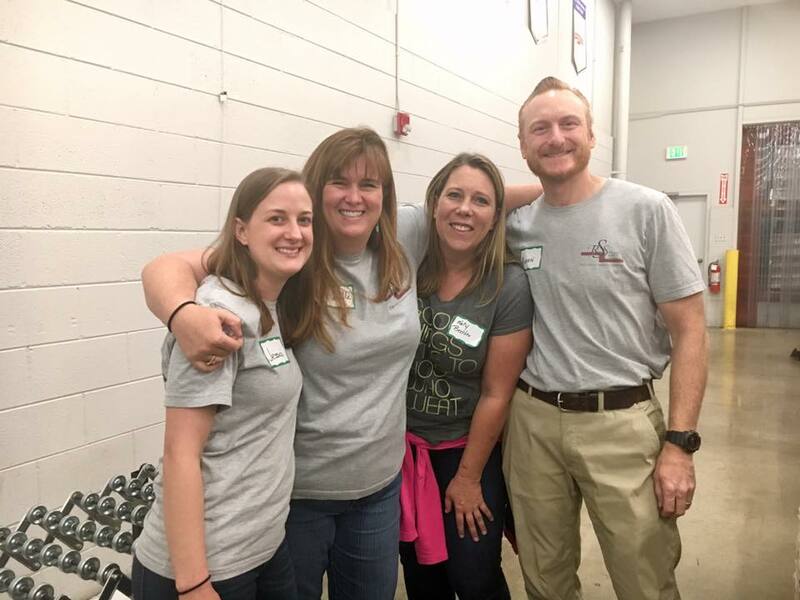 To learn about our time volunteering with Food Bank of the Rockies last year, CLICK HERE. We will keep you updated on opportunities to participate with us over the next couple of months. Our agency looks forward to partnering with Food Bank of the Rockies, supporting their organization, and promoting their mission in Colorado. Last year we volunteered at their facilities in September.